Nebraska football fans have just one more week to wait before BYU week beginning. As a result, it’s not too early to start looking ahead and wondering what it might take for new head coach Mike Riley to lead Nebraska to a victory to start the 2015 season. Here are three questions that will be answered – one way or the other – in Nebraska’s lid-lifter. Can the Blackshirts Stop Hill? Even before the coaching change, this was the biggest question coming into the contest against BYU. Quarterback Taysom Hill is a remarkable talent, particularly as a runner. Bruce Feldman of Fox Sports talks about Hill as a darkhorse Heisman candidate, and Matt Brown of SB Nation argues that Hill is BYU’s most talented quarterback since Steve Young (even if he doesn’t win the Heisman). That’s a tall order for Nebraska’s first opponent of the season, particularly when NU will be putting a brand new defensive scheme in place. While the quarters scheme run by defensive coordinator Mark Banker should be more effective against the run (as observed by a smart and particularly handsome analyst), how the Blackshirts fare against Hill will be the primary determining factor in whether Nebraska can start 2015 with a win. How Will the Offense Work? As we narrow our game plan down a lot, we want to make sure he [quarterback Tommy Armstrong] is comfortable, give him some thoughts and then really rank them (plays) that he likes. We get into a game, we have a menu of plays—we want to make sure the quarterback that is making the decision is comfortable with the play and feels good about it. That’s just a little bit different than when Callahan showed up in 2004 and tried to pound a Joe Dailey-shaped peg into a West Coast Offense-shaped hole, with predictable results. Predictable, as in a 19 completions from 42 (!) passing attempts performance on a windy November afternoon in Ames, en route to a 34-27 loss. So at least we know Riley and company are attempting to tailor Nebraska’s new-look offense to the talent on the roster, rather than installing his preferred pro-style offense. How that hybrid will work, especially against a BYU defense with a national recruiting base, will be a fascinating question to answer. How Will Nebraska Replace Pierson-El? 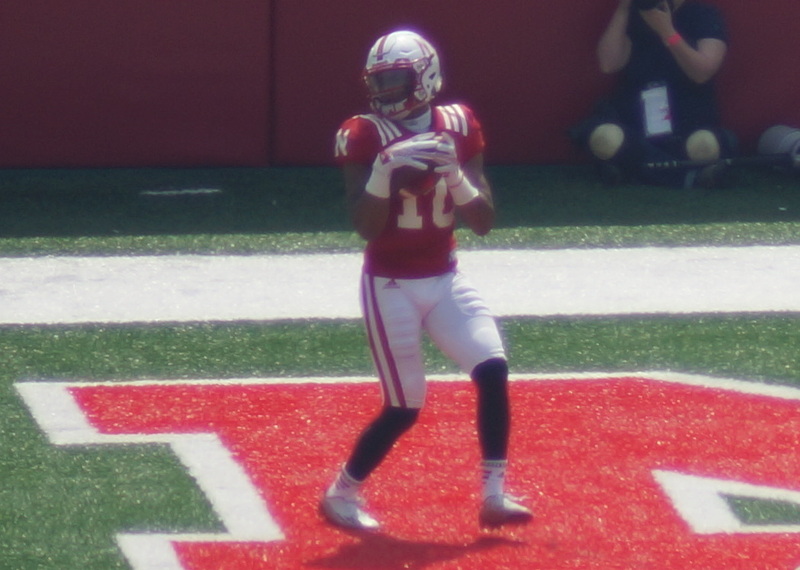 As the 2014 season wore on, De’Mornay Pierson-El evolved from an option on special teams, to a game-changing punt returner, to Nebraska’s leading receiver against USC in the Holiday Bowl. Losing Pierson-El for six to eight weeks is a big blow, then, for a coaching staff already struggling to find an identity (as well as filling an Ameer Abdullah-shaped hole in last year’s offensive production). As a result, Nebraska will need to find a player (or collection of players) to fill that void. First in line might be senior wide receiver Jamal Turner, who had a strong performance in an inter-squad scrimmage, according to Sam McKewon of the Omaha World-Herald. If Turner, in his sixth season after getting a medical hardship from last season’s campaign, can live up to some of his untapped potential, Nebraska might have a chance to replace some of Pierson-El’s playmaking skills.